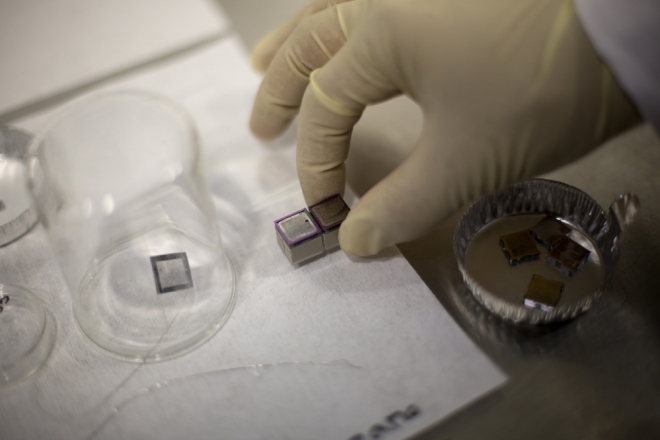 As small as a penny, these thrusters run on jets of ion beams. 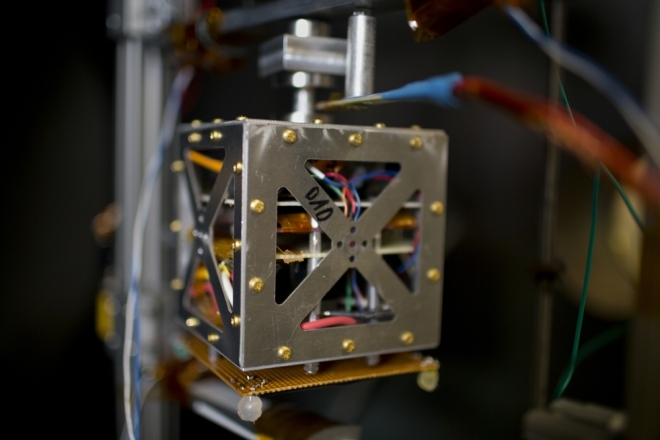 A magnetically levitated small satellite inside a vacuum chamber simulates space-like conditions to test the performance of mini ion thrusters in the laboratory. A pair of mini ion thrusters, including their propellant tanks, is prepared for tests. 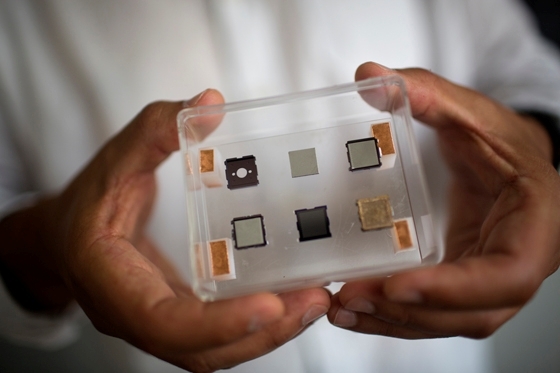 The group engineered a gold-coated plate over the chip, then applied a voltage, generating an electric field between the plate and the thruster’s tips. In response, beams of ions escaped the tips, creating a thrust. The researchers found that an array of 500 tips produces 50 micronewtons of force — an amount of thrust that, on Earth, could only support a small shred of paper. But in micro-gravity space, this tiny force would be enough to propel a two-pound satellite. 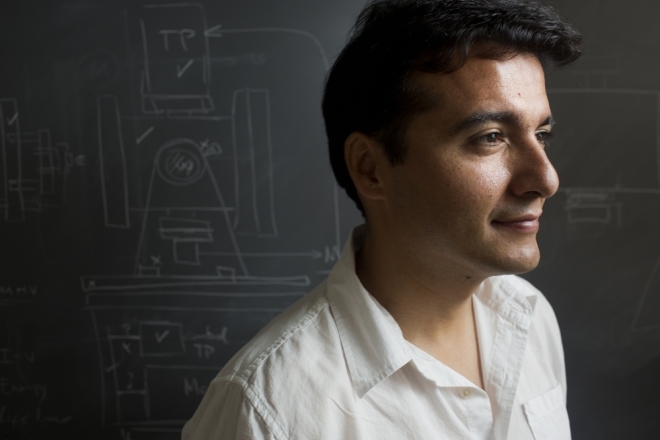 Paulo Lozano, associate professor of aeronautics and astronautics and associate director of the Space Propulsion Laboratory.